Senior Physical Therapists Mara Abrams and Maureen Carroll help stabilize Jadon and Anias while mom, Nicole, and CNN Chief Medical Correspondent Sanjay Gupta cheer them on. The milestones have been plentiful for two-year-old previously conjoined twins, Jadon and Anias McDonald, and on September 2, they added a new one to their growing list... going home. Admitted to Blythedale’s Infant and Toddler Unit for nearly nine months, the boys were all smiles as parents Nicole and Christian buckled them into separate car seats, along with big brother Aza, for the ride to their new home in Orange County. The boys were admitted to Blythedale in December for comprehensive rehabilitation following the life-saving surgery to separate them at the Children’s Hospital at Montefiore last fall. During their admission to Blythedale, the boys have been immersed in a daily regimen of physical, occupational, speech and feeding therapy. This, in addition to complex post-surgical care. 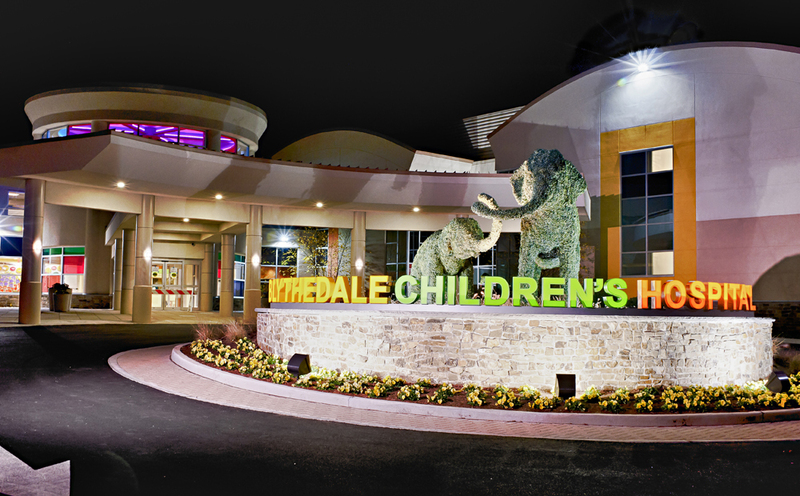 "This was a child who spent his life laying on his back, said Senior Physical Therapist Mara Abrams, of Jadon upon his admission to Blythedale. "It was very daunting at first. All of a sudden, his whole world changed, and it was painful and difficult, and it took time for him to visually accept that he had to come to a vertical world. He had to deal with no strength in his neck and all the effects of gravity. Now he loves therapy. He pulls to standing and moves alongside furniture. I feel very lucky, as though I've been placed in a position of great opportunity to be a part of these success stories." Anias' physical therapist shared similar sentiments. "Initially, for Anias, there was a lot he couldn't handle," said Senior Physical Therapist Maureen Carroll. "Now you can see his head and trunk control, when he transitions from one position to another. The motivation to move is huge. If he wants something, he's going to get it. The journey has been beyond amazing. I'm confident we are going to see great things from him." Arranging for the boys' discharge required detailed coordination to ensure a safe and smooth transition to home. This included ordering medical equipment, such as a feeding pump, pulse oximeter, and supplemental oxygen, as well as arranging in-home nursing care and getting community resources in place for the family. According to Jessica Ritchie, the boys' social worker, there are many pieces of the puzzle that have to fall into place in coordinating a discharge of this type. "It truly takes a village," said Ritchie, explaining that coordination includes home nursing providers, in-home and outpatient rehabilitation therapy providers, agencies providing durable medical equipment and supplies, and connections to behind-the-scenes agencies designed as extra tiers of support and care management to protect the boys' insurance benefits and ensure the availability of ongoing supportive services in the home. "Nicole and Christian were not only working tirelessly to prepare their home for the twins' arrival, but collaborating with us in facilitating these important connections to set the stage for the boys' continued success at home," she said. "This can be an overwhelming endeavor for families, and our goal is to help do as much as possible to make the process as smooth as possible. I always tell parents that just because they are leaving the Hospital, doesn't mean that they are leaving the supports behind. Nicole knows that she can call us at any time, and her Blythedale village will be here to help them in whatever way we can." The boys will return to Blythedale for continued outpatient therapy in the coming weeks.